Guys, World of Warcraft is a teenager. Every time I realize that I started playing this game in 2004, and I still have my original character, I get hit with that ridiculously potent nostalgia bomb of memories of those first few days playing WoW. When you had no idea what you were doing, when your friends could actually talk you into running from Orgrimmar to Thunder Bluff at level 1 to play in Mulgore, and all the rest of our completely noob moments. 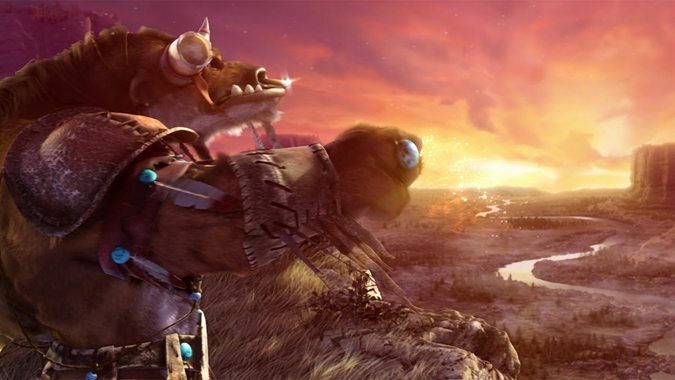 The WoW dev team put together a video for WIRED covering all fourteen of those crazy years. And I have to say, listening to Ion Hazzikostas tell the story of how the very first time he logged on, he got hooked and wanted to come back immediately only for his server to be down for two days due to instability is the vanilla WoW experience in a nutshell for me. We wanted to play constantly, but we couldn’t, because the servers were down. If you’ve watched a BlizzCon retrospective or ever heard the devs talk about WoW, you know that nobody knew what this game was going to turn into. Absolutely no one was ready for a game with the fan demand of World of Warcraft when it came out. Many of the decisions made in the early days — Senior Concept Artist Jimmy Lo specifically highlights the decision to not try for a photorealistic art style which has allowed the game to endure over the years — have been built on over and over again. Burning Crusade brought us all the changes we usually think of, but it also brought us skyboxes as a byproduct of allowing flight in Outland. The art direction of the game had to change just because flying existed, and this ultimately led to the Cataclysm redesign for the world. 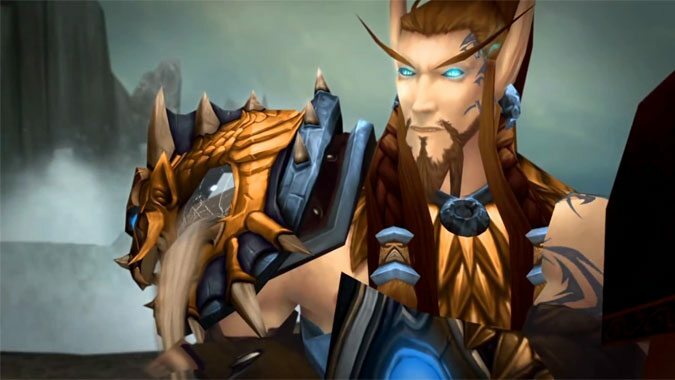 The video breaks down as succinctly as possible the fourteen years and soon to be seven expansions that World of Warcraft has gone through, from the origin of Dual Spec to the complexity of the Cataclysm redesign and how everything it changed came about in the years of development from 2004 to 2010. The art design team, for example, worked hand in hand with the developers in Burning Crusade and Wrath of the Lich King. Ion still considers Cataclysm to be the most arduous task they’ve ever embarked on, the biggest task the design team ever underwent. 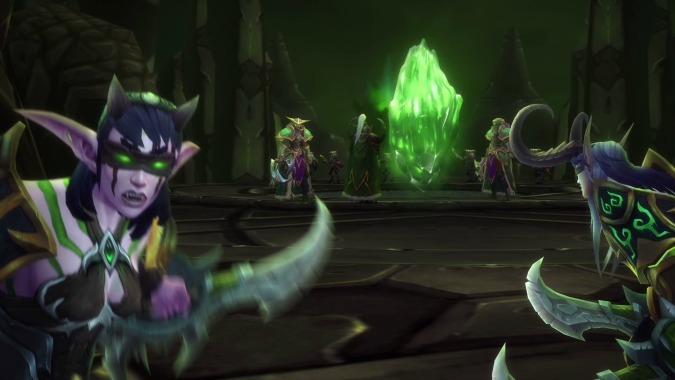 I didn’t personally understand how the design of Garrisons ultimately led to the sharding technology that allows Legion to always feel inhabited without feeling overcrowded. It’s an example of how technology developed for one expansion led directly to a feature in the next one. From how flight redesigned the world in terms of its art to how coming up with a solution to a technical problem creates new solutions to problems they don’t even know they’re going to have, WoW has constantly evolved. And of course they talked about Transmog, which has always owned my heart since it was introduced eight years ago. My God, guys, eight years of transmog. That’s crazy. We’ve been playing dress up in WoW for eight years. Whether it’s the Mists of Pandaria deep breath and the art design that brought Pandaria to life, the Warlords of Draenor expansion as the beginning of story arcs that bridge between expansions, or Legion’s end of the world demonic invasion bringing new kinds of art design to bring the drama to life, WoW has changed and grown over the years. So many years. Battle for Azeroth is going to be an expansion that takes us even further along the path started all the way back in the days of classic WoW. This is nearly an hour long video that covers fourteen years of game development, so there’s a lot more to it than I’ve mentioned. I mean, I didn’t even talk about the draw distance increase that happened in Legion and how the engineering and art teams managed to increase it based on work they’d done going all the way back to Classic, and that’s a huge deal. So head on over and watch it for yourself.